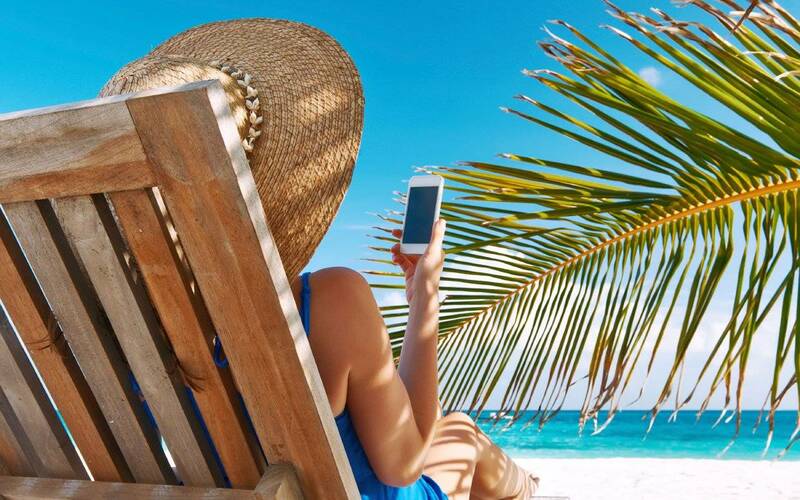 Whether you’re hitting the beach, going on vacation or planning for some much needed rest and relaxation, these summer apps have you covered so that you can make the most of the summer months. Nothing rains on your summer parade more than dark stormy clouds creeping up on your beach weekend. Stay prepared with the Dark Sky weather app. Who needs to be a wine connoisseur when you have the #1 wine recommendation app. Hello Vino has you covered with the best summer rosé. Summer months are about traveling! Find amazing, last minute deals at top-rated hotels with Hotel Tonight. With longer days and warmer weather, get out from the kitchen and try new restaurants. Discover, explore, and reserve restaurant reservations free and instantly on OpenTable. Your grilling sidekick. Select your meat, thickness, and level of doneness and then GrillTime automatically recommends the perfect grilling time and temperature. No need to hang around the grill, GrillTime notifies you when it’s time to flip and when it’s finished. Now you can relax in the sun without worrying about whether your skin is frying. The Wolfram Sun Exposure App will calculate how long your skin can be in the sun without burning based on customizable variables. Bonus features include sunrise and sunset time, current Sun position, and weather forecast. Your personal guide to the coolest hidden and unique places/experiences in the world around you. Especially useful for traveling, Field Trip helps you live like a local when you explore new places. Eat and shop off the beaten path. Or simply discover the obscure history about your neighborhood during your next walk to the park. Plug in where you’re going, for how long, and activities planned and PackPoint will build you a custom packing list. PackPoint even checks the weather so you’ll never forget a jacket or umbrella again! Always wondered what you were looking at in the vast summer night sky? A star app has never been more beautiful and easy to use. Hold it to the night sky to automatically find constellations, planets, satellites and more. It’s stargazing fun for all ages and experience levels! AirBNB for boats! From kayaks and catamarans in California to sailboats and yachts in Croatia, GetMyBoat allows you to search and book rental boats all over the world.